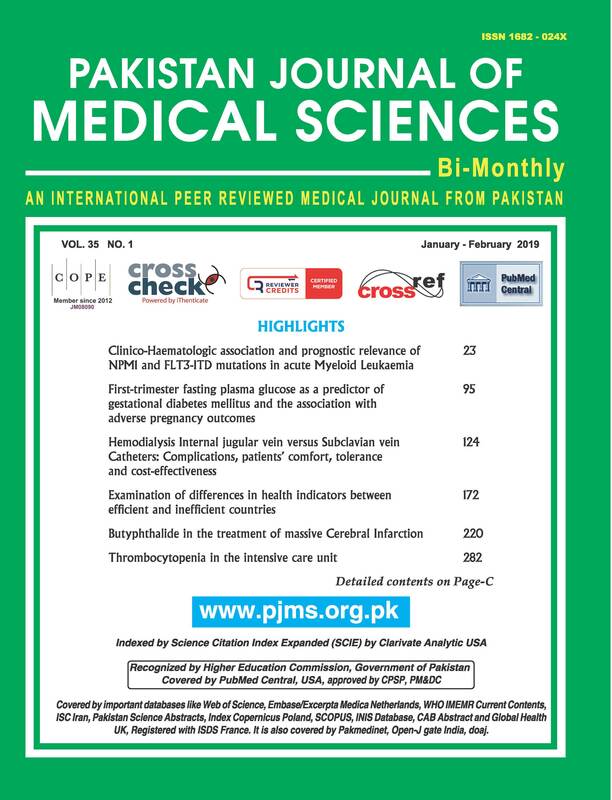 Objective: This study was conducted to quantify the normal indices of anthropometric measures related to ophthalmology including Interpupillary distance (IPD), Inner canthal distance (ICD), Outer canthal distance (OCD) in a normal, healthy Pakistani population. Methods: This is a cross sectional study. Total 500 patients were chosen randomly but 499 were included in this study. Patients were selected randomly in an outpatient department of Jinnah Post Graduate Medical Centre Karachi, over the period of five months. IPD, ICD & OCD all measurements were taken with the help of plastic rule by only one researcher to minimize chances of error as much as possible. IPD was reconfirmed from auto refractometer while ICD and OCD readings were taken twice by occluding one eye of researcher to reduce error. Participants were divided into four categories on basis of: Age, Gender, ethnicity and geographical location. Patients were further categorized on basis of Ethnicity to Urdu Speaking, Sindhi, Punjabi, Pathan, and others. Moreover, four age groups were drawn ranging from 15-24 years, 25-44 years, 45-64 years and 65 years and greater. Results: Our study comprised a total of 499 patents of which 272(54.5%) were males, and 227(45.5%) were females. The mean age of the participants was 39.3 ± 14.5 years. The mean values for the IPD, ICD and OCD in mm were 61.8 ± 6.2, 30.9 ± 2.9 and 85.2 ± 6.6 respectively. A statistically significant difference was observed between IPD, ICD and OCD Indices among male and female study participants (p<0.001, p=0.043, p<0.001). While comparing the IPD, ICD and OCD indices amongst the different ethnic groups, we found no statistically significant difference (p=0.09. p=0.28, p=0.06). Overall, there was no correlation between the age and other variables i.e. IPD, ICD, OCD, (r = 0.07, p = 0.085), (r = 0.005, p = 0.906), (r = -0.08, p = 0.058). Conclusion: This work has recommended normative values of IPD, ICD and OCD in Pakistani population on the basis different variables including gender, age, and ethnicity.